The office break room has the potential to be either the most popular place or the saddest space in the workplace. We all know the telltale signs of depressing break rooms: sticky, poorly-stocked kitchenettes, glaring overhead lights, uncomfortable folding chairs, and tattered, months-old copies of trade publications that pass for reading material. Are you ready to head straight back to your desk in defeat? It doesn’t have to be this way, nor should it. 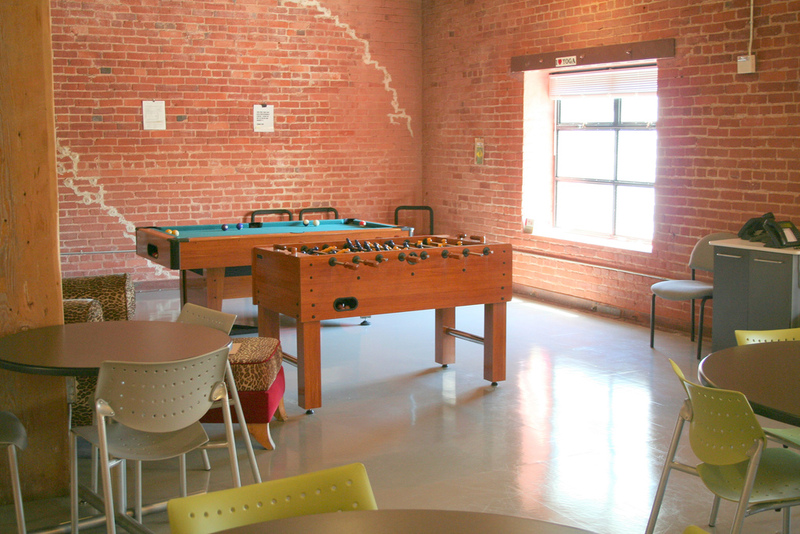 Break rooms are intended to be welcoming and relaxing spaces where employees feel comfortable, can strengthen social bonds, and relieve stress during the workday. It’s becoming increasingly important for employees to find respite within their work space. As workers continue to spend more and more hours at their jobs, having that space to take a brief break is becoming even more valuable to their overall performance. Investing in your break room can pay off in dividends in employee satisfaction, productivity, and team-building, but it doesn’t need to cost a fortune. Despite what myriad magazine articles would have you believe, you don’t need a foosball table or a vintage arcade game to make your dedicated space fun and interesting. However, you do want to make the space welcoming and conducive to relaxation – that bit of respite from a rough day of meetings and phone calls can be just the thing to perk up an otherwise worn out employee. Create a social space. 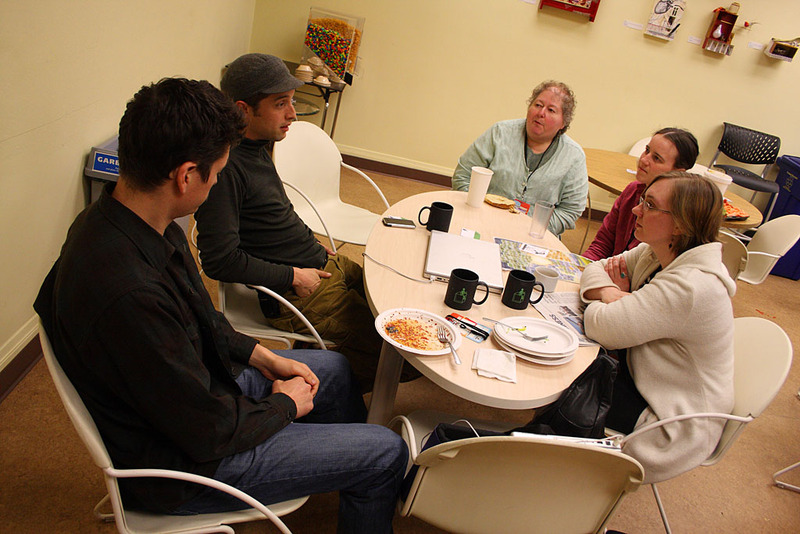 When the workplace becomes increasingly digital, a break room may be the only occasion for cross-departmental colleagues to talk face-to-face. Cognitive psychologist Dr. Jay Brand tells BusinessWeek, “Accidental, serendipitous interaction between employees and across disciplines is seen in many organizations as the creative spark.” Encourage that spark by including comfortable pairs of armchairs that invite natural conversation, board games, and decks of cards. 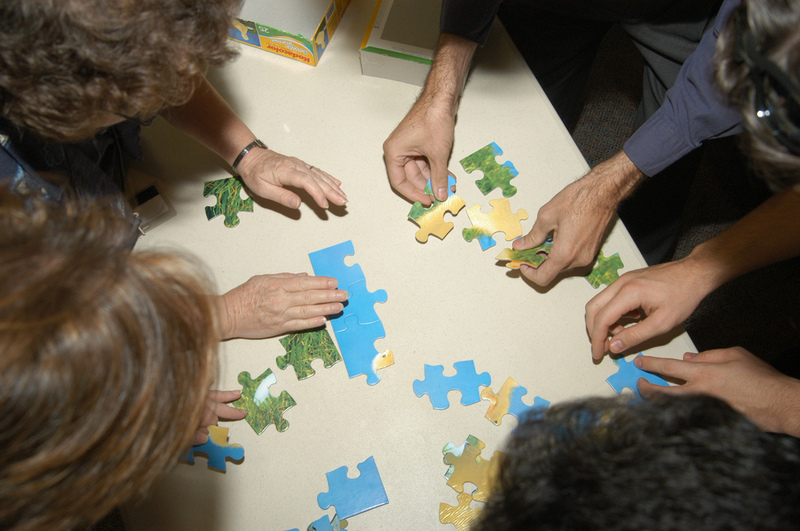 Even the smallest, silly touches, like magnetic poetry on the refrigerator or posting a “Cat Photo of the Week” on a bulletin board, can lead to conversations and relationships that might not be cultivated outside of the break room. Encourage daydreaming. This may sound counterintuitive for the office, but studies have shown that problem-solving and creativity can receive a jump-start when people daydream – the phenomenon of suddenly having a great idea while you’re in the shower or simply doing the dishes. Provide a few creative outlets in the break room to encourage daydreaming, like a sketchpad and colored pencils or a not-too-challenging book of crossword puzzles. Invite collaboration. Employees who feel involved in decision-making processes in the workplace tend to be more engaged and more satisfied. Extend that principle to your break room redesign! If your staffers are tech-savvy, create a Pinterest board devoted to break room ideas and invite your coworkers to contribute. Or just provide an old-fashioned “break room idea” box and invite anonymous suggestions. Your employees will appreciate being included in the process. Invest — at least a little — in aesthetics. A break room doesn’t need to undergo a million-dollar remodel to make it visually interesting: paint the walls a vibrant shade (some studies suggest blue boosts creativity, while red encourages attention to detail), replace obnoxious overhead lighting with well-placed lamps, and hang some local art or creative framed prints on the wall. If the space isn’t inviting, everyone will simply grab their coffee and leave. Interestingly, indoor plants in the office have also been shown to reduce sick leave and increase productivity! Provide a place to recharge. If the office is an inherently social place, or employees spend a lot of time dealing with customers or clients, they may desire a quiet, peaceful break room where they can just unwind. In this case, provide a nice selection of magazines for browsing, well-spaced tables and chairs with plenty of elbow room, and an iPod dock or radio for music rather than a blaring TV with chattering daytime talk show hosts. Offering a place to recharge is crucial to reducing employee stress and maintaining positive relationships within a busy workplace, and we all know a stressed employee won’t be performing at their peak abilities. Have a cleaning plan in place. This will help avoid those ubiquitous passive-aggressive notes or workplace bickering. Yes, everyone in the office is an adult and should clean up their own mess, but sometimes urgent phone calls or unexpected meetings mean an unwashed dish is left behind in the sink or a table is laden with crumbs. If a professional cleaning staff isn’t an option, create a rotating schedule of team members responsible for keeping the space tidy, and reward those team members with an extra day of vacation time or a special catered lunch once a month. A little advance planning can help maintain a cohesive team atmosphere and keep dirty-dish-related conflict to a minimum. Go green. 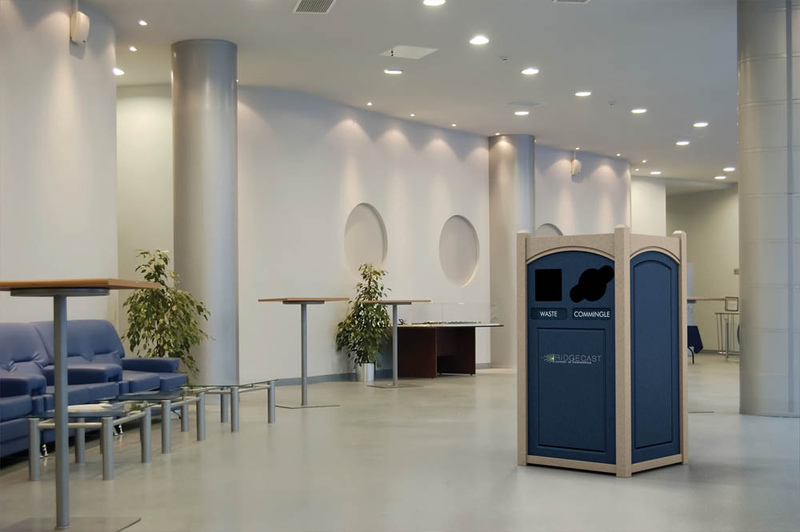 If environmental sustainability is important to your company, reflect that value in the break room! Provide reusable mugs, plates, and silverware, and order non-toxic cleaning supplies for daily tidying. Offer a recycling bin, provide personalized reusable water bottles with the company logo, and perhaps arrange for one employee to stop by a local farmer’s market for a weekly fruit basket. Nothing says hypocrisy like a company who claims to be “green” but has Styrofoam in the break room. Take advantage of the break room as a way to communicate company values, and involve employees in the company’s culture in a hands-on way. Don’t forget the basics. Every office is different, but we believe this rule applies to all break rooms: supply coffee. Including decaf, and tea as well. Just do it! And most importantly, don’t forget the food! What good is an aesthetically pleasing break room without a delicious lunch or a tasty snack? 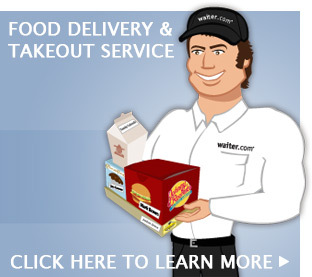 Whether your break room will be hosting business lunches, regular corporate catering, or occasional employee appreciation breakfasts, Waiter.com’s easy online food ordering and delivery service is ready to help!